As chairman of Special Olympics, Timothy Shriver has dedicated his life to the world’s most forgotten minority—people with intellectual disabilities. And in a time when we are all more rudderless than ever, when we’ve lost our sense of what’s ultimately important, when we hunger for stability but get only uncertainty, he has looked to them for guidance. 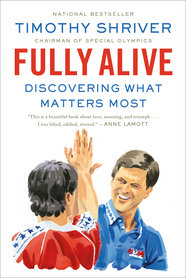 Fully Alive chronicles Shriver’s discovery of a radically different, and inspiring, way of life. We see straight into the lives of those who seem powerless but who have turned that into a power of their own, and through them learn that we are all totally vulnerable and totally valuable at the same time. In addition, Shriver offers a new look at his family: his parents, Sargent and Eunice Shriver, and his uncles, John, Robert, and Edward Kennedy, all of whom were resolute advocates for those on the margins. Here, for the first time, Shriver explores the tremendous impact his aunt Rosemary, born with intellectual disabilities, had on his entire family and their legacy. 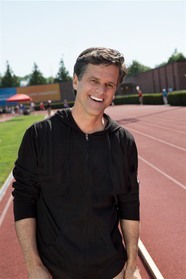 Timothy Shriver is the third child of Eunice Shriver, founder of the Special Olympics. As chairman of the Special Olympics, he serves more than three million athletes in 180 countries. He lives in Maryland with his wife and five children. 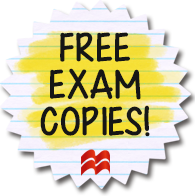 This entry was posted in Activists & Activism, Current Topics, Diversity, Leadership, Non-Fiction, Social Problems & Solutions and tagged 2016, fully alive, nonfiction, philanthropy, timothy shriver on 09/15/2015 by macmillanacademic.